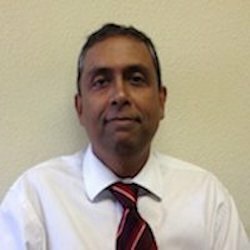 Professor Seemungal has made an invaluable contribution to the study of lung health. His work with the academic group of Professor Wedzicha in London contributed significantly to the body of knowledge of chronic obstructive pulmonary disease. His academic contributions form a consistent body of work of high quality, originality and significance. 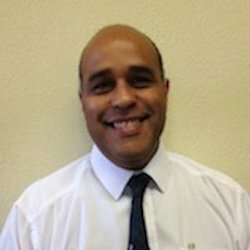 Professor Seemungal current holds the post of Professor of Medicine, Lead Academic for Adult Medicine & Chair Campus Open Lectures Committee, Department of Clinical Medical Sciences Faculty of Medical Sciences University of the West Indies St. Augustine Campus Trinidad and Tobago. Mr. West received his medical degree from the National University of Ireland. He graduated in 1990 and obtained his FRCS in 1994. He undertook specialized cadiothoratic training in Ireland and Scotland and was awarded his FRCS CTh. in 2008. Mr. West has published extensively in various professional journals such as British Journal of Sports Medicine, European Journal of Cardiothorac Surgery, Interactive CardioVascular and Thoracic Surgery and has made a number presentations to various organizations such as the Society of Cardiothoracic Surgeons of Great Britain and Ireland and the Scottish Thoracic Society. Mr. West currently lives in Maraval Trinidad. Mr. Albert Joseph Ferdinand Penco is Consultant Thoracic Surgeon at the Eric Williams Medical Sciences Complex. He was born on April 15th 1936 and he attended University College Dublin from 1955 to 1961. Upon graduating in 1961. 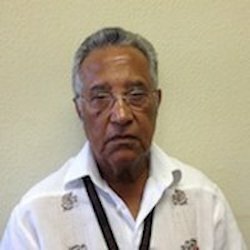 Mr. Penco directly sent to work at the Caura hospital where he remained for several years specializing in thoracic medicine and surgery. He was awarded his FRCS in 1970 and currently resides in St. Augustine. 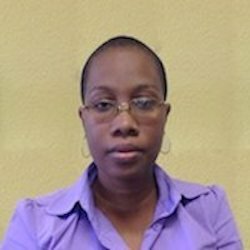 Mrs. Skinner Aguillera is currently a Grade 7 Laboratory Technician University of the West Indies, Faculty of Medical Sciences. She holds a BSc. degree in Chemistry from UWI St. Augustine with minors in Environmental Biology and Biochemistry and is a Registered Phlebotomy Technician. Mrs. Skinner Aguillera has published co-authored papers on topics such as self monitoring of glucose Caribbean Type 2 Diabetes and cognitive impairment and dementia. Mrs. Skinner Aguillera currently lives in Freeport, Trinidad.